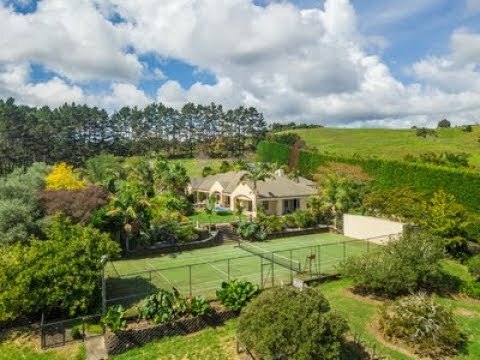 Encapsulating the essence of a privileged, resort-like Whitford lifestyle, this exquisite 2.3ha estate provides a host of magnificent opportunities for the active family. Whether you're into horses or just want room for a few sheep or goats for your children - the beautifully landscaped country property has everything to fulfil your dreams. There is the grand home in the peaceful, private and secure manicured grounds; the heated salt water pool; a built-in spa complex and the competition-size astro-turf tennis court. When you're hosting large numbers, parking is so not a problem. There is five car garaging plus a huge 90 sq m barn/workshop that has an extra high door to accommodate a boat or camper van. Plus, a mezzanine floor creates plenty of storage for all your gear. Owners have bought. Make an offer.